The second title in a new trilogy from best-selling author Richard A. Knaak, now in paperback. 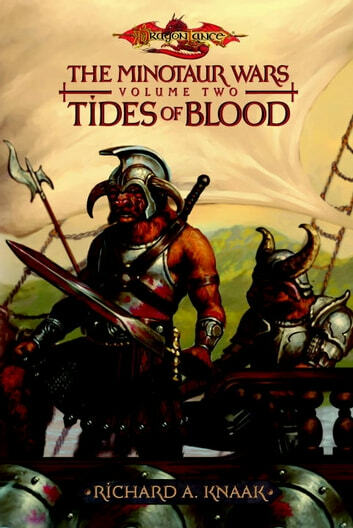 This direct follow-up to the best-selling War of Souls trilogy deals with the minotaurs, a race with which New York Times best-selling author Knaak is particularly associated in the minds of Dragonlance novels fans. This series moves the minotaur species to the forefront of the Dragonlance world. AUTHOR BIO: Richard A. Knaak is the author of over two dozen fantasy novels, including the Dragonlance novel titles Kaz the Minotaur and the New York Times best-selling The Legend of Huma. He is currently working on Empire of Blood, the concluding volume in The Minotaur Wars trilogy. Other recent works include Day of the Dragon and Legacy of Blood, based on the popular computer games Warcraft™ and Diablo™.